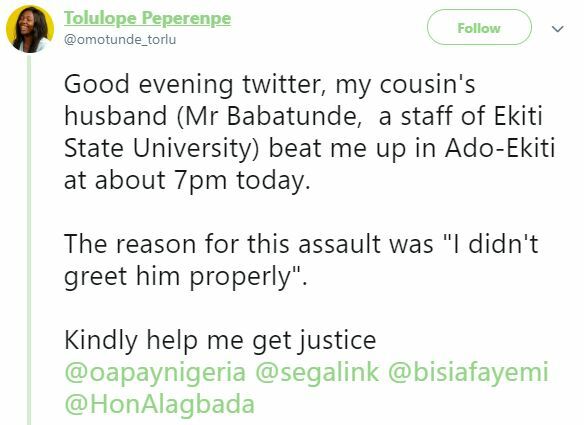 Twitter @omotunde_torlu, is demanding justice after her cousin's husband slapped her. 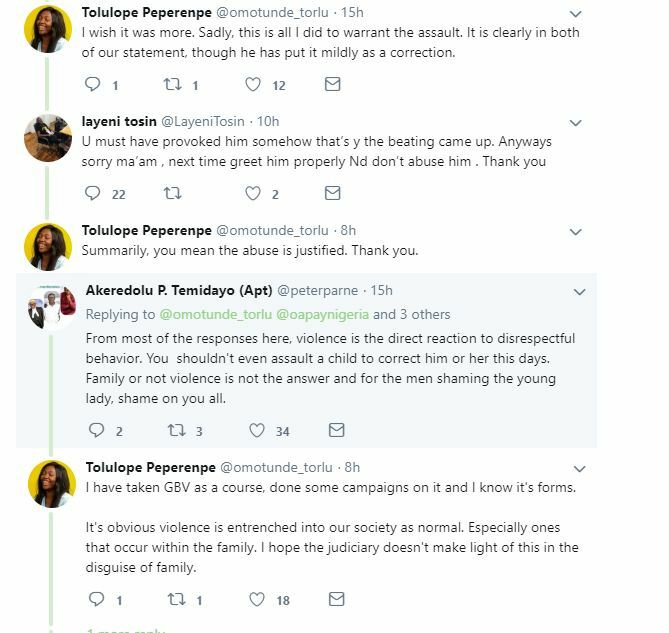 In her tweet, Torlu said the man slapped her because she did not greet him properly. 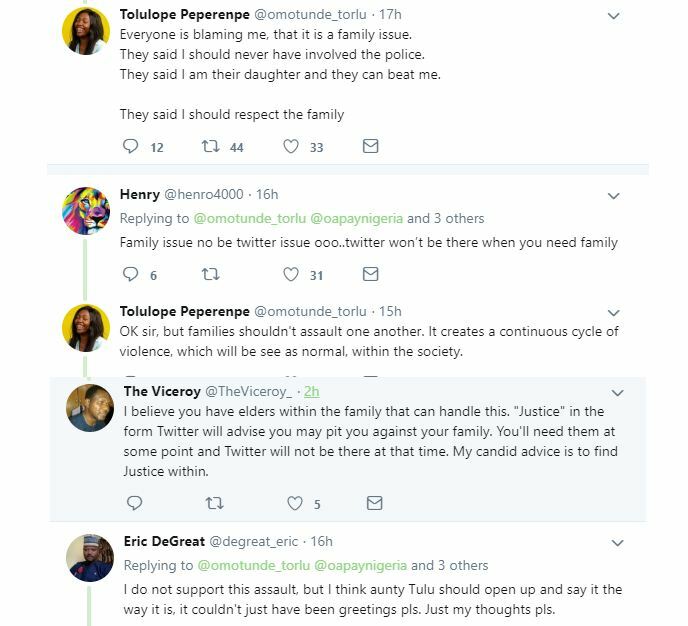 Some twitter users are however saying she should have taken her complaint to their family elders instead of twitter. 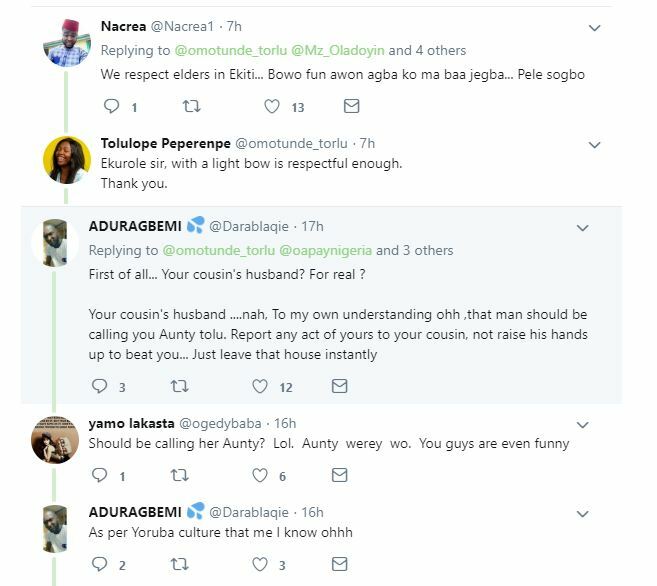 The brother in law was wrong to have slap the lady, if he feel offended for not greeting him properly he should have reported to her husband.